We will go through some of the things you can do with children in Sitges. Sitges is mainly known for its beautiful beaches of golden sand. In fact, going to spend the day at the beach is one of the plans par excellence if you are in a coastal town like this. Here you have a top three of the most popular and comfortable beaches to go with your family and enjoy the Mediterranean climate. One of them is the Platja de San Sebastià, which, despite not being the largest, it's still a pleasant place next to the promenade and offers a relaxed atmosphere. You wil usually see families with children and residents of Sitges in this beach. The Platja de les Anquines has a characteristic that makes it especially attractive for families. It is an artificial beach with a breakwater on each site, which make the sea always calm in this area. This cove in front of the Hotel Terramar has all kinds of services and children can play at ease in the sand. Finally, we want to highlight the Platja de la Fragata, very central. It's one of the most popular in the town thanks to its location, its size and its services. Although it's a beach frequented by young people or those who are going to practice sports, its characteristics make it also a good choice for families with children. Although this coastal town is best known for its beaches, the old town of Sitges is something worth visiting. Its white houses, adorned with colorful flowers in many cases, along with its cobbled streets will make you forget everything else. There is no better way to know a place than walking through the streets to discover all its corners and to discover, at the same time and in this case, the history of Sitges. 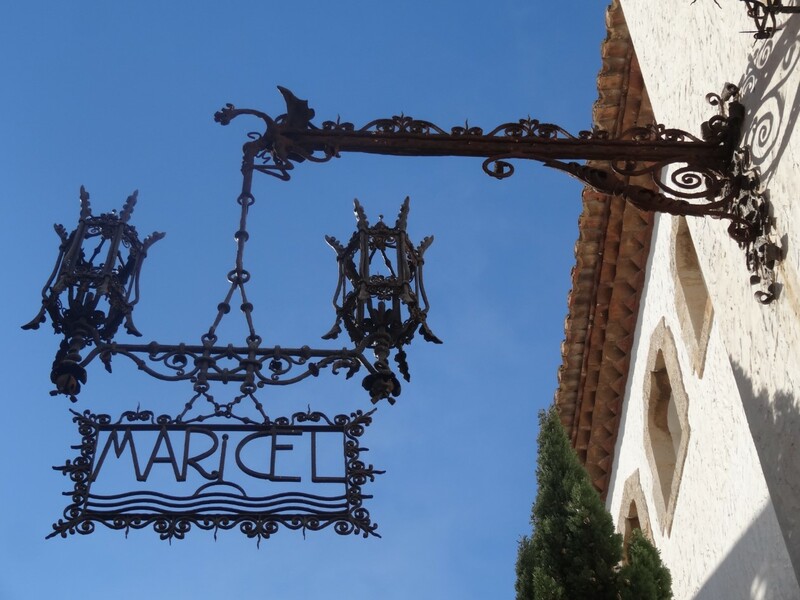 You can also use the chance to go and see some of the most emblematic buildings of the town, such as the Palau de Maricel de Sitges, which really deserves a visit. Another option is to go to museums, especially in the peak hours of sun and heat. You can go to the Cau Ferrat Museum, which was the house-workshop of the painter and writer Santiago Rusiñol, or the Museu Maricel, with works from different periods and styles. Your family might prefer to enjoy the natural environment, or maybe you are lucky enough and you have time to do it all because you're spending several days in Sitges. Whatever your case is, we strongly recommend you to take a look at the hikes that can be done with children in the area. There are many routes that can be done through the Garraf Natural Park, which is a place of natural interest. It's a perfect area to go hiking or biking, and is also ideal for going on excursions with children. A good option is to go to the park office in the farm of La Pleta in 1894, where they will lend you material free of charge: from bicycles to guides of flora and fauna routes in the area. One of the added values of Sitges is its proximity to Barcelona, in fact, it's about 40 minutes by car (or less than 1 hour by train) from Barcelona. Thanks to its location, you can enjoy the tranquillity, the natural environment and the beaches of Sitges without giving up visiting Barcelona and all that it involves: emblematic buildings, such as La Pedrera or La Casa Batlló, Las Ramblas, the Gothic Quarter, many museums and a variety of leisure options, events and activities for kids. If we move towards the opposite direction, we will arrive to Tarragona at about the same time. A city where you can find an impressive historical heritage (with its buildings and walls dating back to Roman times) and a variety of entertainment options for children. You can go to Port Aventura Theme Park or spend the day at the Aqua Leon water park and zoo. If you don't have a private vehicle, it will still be easy to go to this water park in summer, since there is a direct bus service that goes from Sitges to Aqua León. As you can see, there are many possibilities when it comes to enjoying Sitges with children and the Sitges Group apartments will give you a lot of freedom and make your stay complete.